The purpose of this paper is to discuss the different goals of ‘drug treatment’ within a European context and the key implications for those planning or delivering health and social responses. 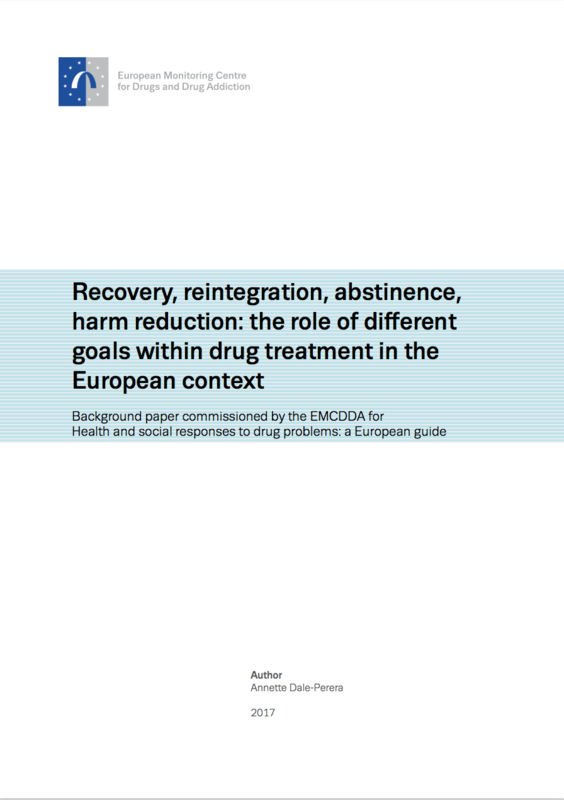 The heterogeneity of people who use drugs and the diversity in severity and complexity of drug taking and drug problems in Europe mean that a single goal or paradigm such as ‘harm reduction’, ‘recovery’ or ‘abstinence’ is no longer adequate to meet the diverse needs we face. This background paper was produced under contract CT.16.SDI.0148.1.0 and we are grateful for the valuable contribution of the author. The paper has been cited within Health and social responses to drug problems and is also being made available online for those who would like further information on the topic. However, the views, interpretations and conclusions set out in this publication are those of the author and are not necessarily those of the EMCDDA or its partners, any EU Member State or any agency or institution of the European Union.